32 athletes will take on their toughest adventure yet. The 8th edition of Red Bull X-Alps is only 6 weeks away and for many of the athletes, it will be the biggest race of their career. Starting July 2, 2017, 32 adventurers from 21 nations will hike and fly a straight-line distance of 1,138km across the Alps from Salzburg to Monaco. 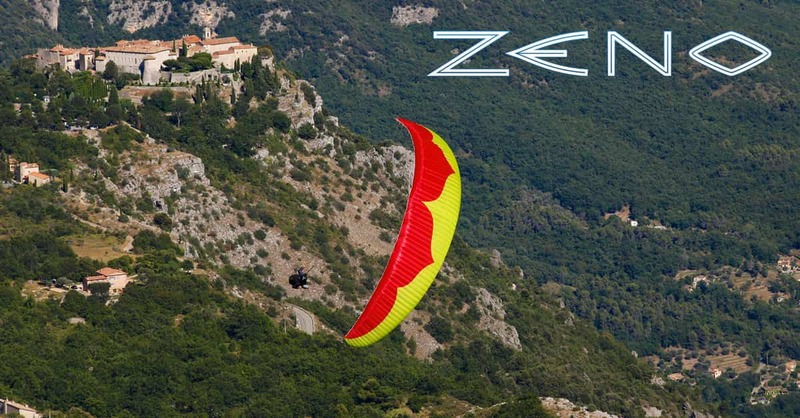 Traveling only by foot or paraglider, the exhausting journey will push even the most accomplished athletes and pilots to their very limits. Strategy and training are crucial, but are they prepared for the adventure that lies ahead? It doesn’t matter whether you’re a rookie or a veteran; everybody prepares differently for Red Bull X-Alps. The new route down to Slovenia and the unpredictable weather conditions present an almost infinite number of possibilities during the race. For this reason alone, a single strategy simply won’t cut it. Taking the title requires physical strength, unbreakable spirit and above all, versatility. There’s no telling what will happen, but it will be a nail-biting adventure like no other. Mitch Riley is one of the three USA athletes participating, and a rookie this year at Red Bull X-Alps. He says that he is feeling strong going into the last month before the competition. 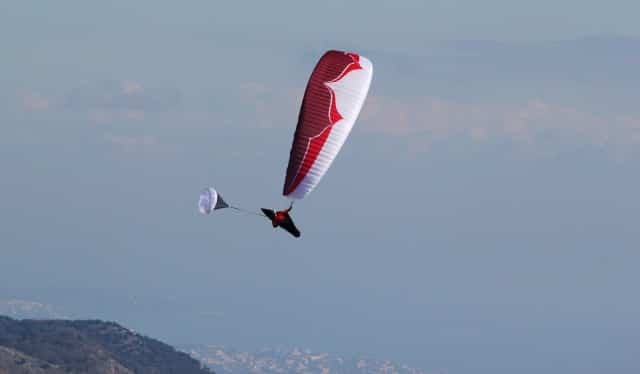 “I am becoming a paraglider carrying machine,” he says. “My training plan is paying off in a big way, and I am only going to get stronger and stronger!”To meet the athletes and learn more about the race, head over to redbullxalps.com and facebook.com/redbullxalps – or follow the action live from June 29 on redbullxalps.com/live-tracking. A full list of the 32 athletes including individual profiles and further details can be found on redbullxalps.com/athletes. All athletes are available for interviews with the media upon requesFor editorial, image or interview requests please contact Ella Rosenfeld at ella.rosenfeld@us.redbullmediahouse.com or 424-341-8614. Red Bull X-Alps, the world’s toughest adventure race is returning July 2, 2017 for its eighth edition. Starting in Salzburg, 32 Athletes of 21 nationalities will race a straight-line distance of 1,138km across the Alps to Monaco via 7 turnpoints in 7 different countries. the one-day Leatherman Prologue race takes place in Salzburgerland. The top three finishers will each win an additional Ledlenser Night Pass, allowing them to race through the mandatory rest period. On day two of the main race, the usual 5:00am start will be delayed for each athlete by the time in which they finished the Leatherman Prologue race behind the prologue winner. there’s only one question on everyone’s mind; could 2017 see athletes like Sebastian Huber or Paul Guschlbauer end Maurer’s reign as Red Bull X-Alps champion? Only one thing is certain – anything could happen! The athletes share their training routines for Red Bull X-Alps 2017, as they get ready to hike and fly 1,000km across the Alps. Taking on the Red Bull X-Alps is arguably as tactical as it is exhausting. The athletes need a whole lot more than just excellent endurance racing, mountaineering and paragliding skills. They must also have the physical and mental strength to push themselves day after day towards the finishing line. The question is, how does one prepare for the almost superhuman strength and determination required to compete?Take Austrian pilot Paul Guschlbauer for example. His planning for this year’s race appears to be closely linked to intuition. He says that when training, he likes to take advantage of whatever nature provides. Guschlbauer goes ski touring if it snows, but takes to the air as soon as the thermals start. He also explains that he eats only what his body feels it needs and currently has no diet plan. “I think that having fun in what you do is essential for being in good mental and physical shape,” he says. Gavin McClurg of the USA on the other hand has adopted a much more structured approach to his training. Following an impressive 8th place debut at Red Bull X-Alps 2015, McClurg’s brutal training regime is well under way. His physical preparation consists of intense interval workouts and anaerobic threshold training to build up strength. As if this wasn’t enough, he also manages to fit in cycling and ski touring several days a week to improve his endurance. “The goal is to make the body super resilient so it can handle the abuse,” he explains. In addition, he follows a strict diet plan developed by a professional nutritionist, which includes natural supplements such as fish oils and collagen powders. Former German champion Manuel Nübel broke his kneecap just four months before Red Bull X-Alps 2015. Despite his injury, he went on to shock everyone with a grueling 9th place finish and will be hungry for more in 2017. He says; “I am already in better shape than last time and the next four months will boost my endurance for sure.” Like most, Nübel’s preparation includes mountain running, XC skiing and cycling. However, he has also been working on taking off in strong winds and packing his gear as fast as possible, which may give him an advantage during the race. Will he be capable of pushing for the podium now that he’s returning to full health? In contrast to Grossrubatscher, reigning champion Christian ‘Chrigel’ Maurer from Switzerland is able to draw on many more years of experience. The four-time consecutive winner of Red Bull X-Alps is currently planning to do 30,000m of vertical ascents each month until the start of the race. He also says that eating as much as possible is more important than a specific diet plan. For the first time however, Chrigel will be replacing his long-time teammate Thomas Theurillat with a new supporter, which may raise questions about whether he can retain the title. “At the start line, I know I can make it, but on the other hand every edition is new and different. This is what motivates me to do it again,” he says confidently. Whatever the strategy, the constantly changing conditions make it impossible to predict how things will work out on race day. Mental preparation alone won’t be enough to win Red Bull X-Alps 2017. Tactical planning is nothing without physical fitness and unparalleled resilience; for this is set to be a whole new level of adventure. To meet the athletes and learn more about the race, head over to redbullxalps.comand facebook.com/redbullxalps. A full list of the 32 athletes including individual profiles and further details can be found on redbullxalps.com/athletes. All athletes are available for interviews with the media upon request. For editorial, image or interview requests please contact Maximilian Blair at media@redbullxalps.com or +43 6226 8848-29.